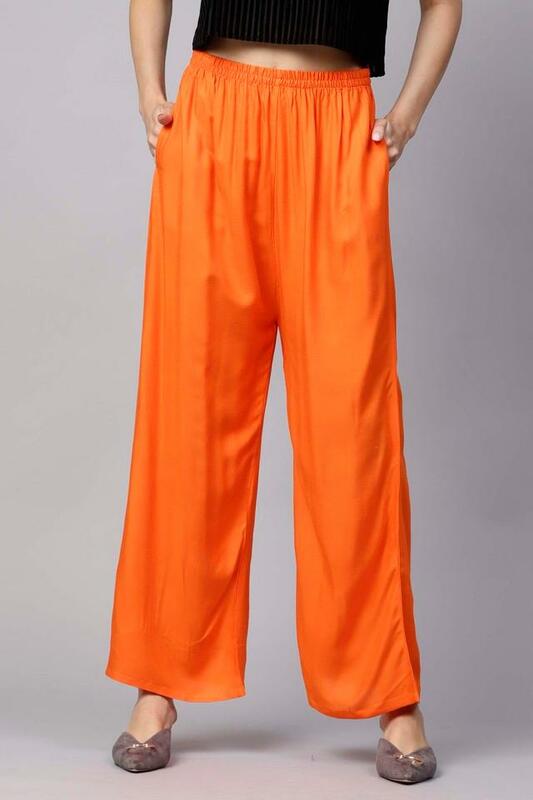 Add quirky styles to your casual repertoire with this pair of palazzos from Gerua. 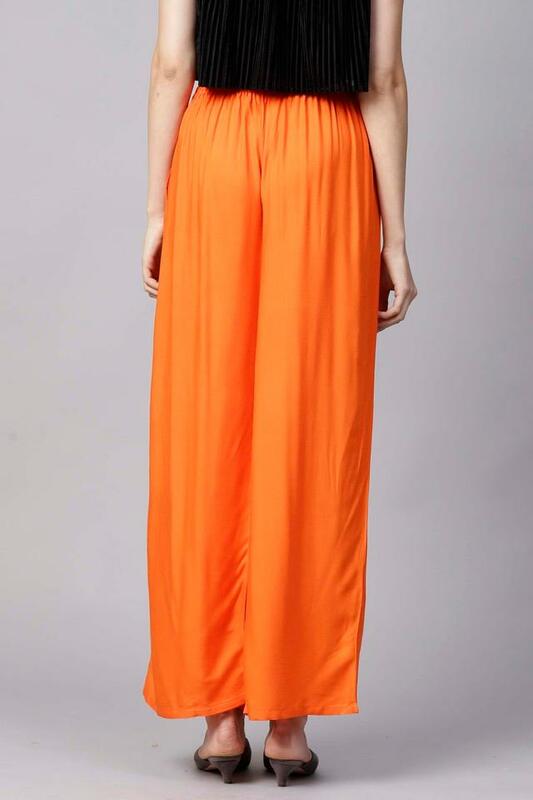 It is crafted from a viscose rayon fabric that will provide a soft touch against your skin. Besides, it features a solid pattern along with perfect fit design that renders it trendy and further gives it some edge. Flaunt your style sense by wearing this pair of palazzos, which has been crafted with care. Try teaming it with a kurta and a pair of heeled shoes for a chic look.